Elite HRV integrates with many 3rd party apps. More are being added regularly! Find 3rd party app integrations in the Elite HRV mobile app under Settings/More. Scroll down to “Link Other Apps or Services”. There is a one-time in-app purchase of $4.99 USD to unlock all integrations. Once unlocked, you can connect your Elite HRV account with any of the available apps. Each app has instructions within it. Different apps can send and receive different data, and each app has a description of what it can send and receive. Some apps can receive HRV and heart rate data. 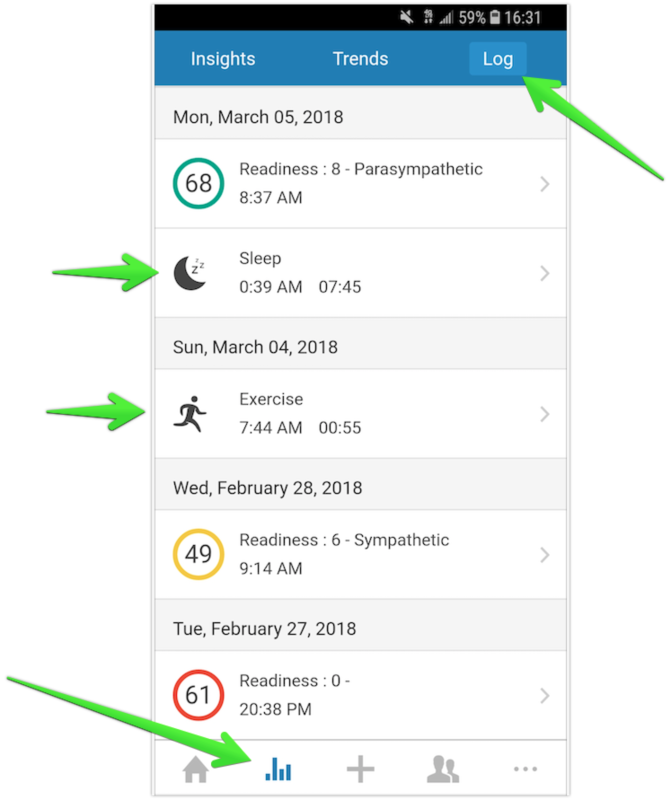 Once integrated, these apps will receive HRV and heart rate data when you take new Morning Readiness readings. Some apps can send exercise, sleep or other data into Elite HRV. Once integrated, Elite HRV will attempt to automatically pull new sleep, exercise and other data in automatically for you. There is no longer a need for manual syncing. Check the Data > Log (entries list) within Elite HRV to see if your new exercise, sleep or other data is being synced to Elite HRV. We are continuing to expand the integration logic and automation. If you have access to it now, you will automatically get all of the updated functionality.